High-quality sports equipment injects a new wave of life in your wheelchair sports. Such equipment keeps your life in motion by providing the additional mental support to compete and achieve success. To provide you with ease and comfort, Sportaid offers the best and broadest collection of Wheelchair Racing and Handcycling Accessories. 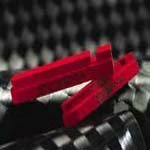 Our high quality Cycling and Racing products from international brands include Invacare Top End Eliminator OSR Kneeling, Top End Handcycles, Quickie Handcycles, and various others accessories. We offer a full line of inexpensive sports products from major manufacturers. Browse through our superb collection of Cycling and Racing gear below or feel free to call 1-800-743-7203 for expert assistance. And be the best you can be by choosing Sportaid as your provider for Handcycles and Racing Equipment. Sportaid offers savings up to 58% on Wheelchair Racing & Handcycling Accessories! 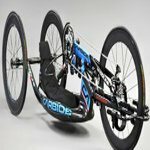 Find the Right Handcycle / Racing Chair for You! Sportaid carries sports chairs in the form of handcycles, racers, all terrain chairs, and court chairs. 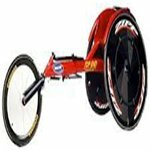 If it is a high performance handcycle or racing chair that you are in hot pursuit of, Sportaid has the best selection of Racing Wheelchairs, Racing Wheelchair Accessories, and Handcycling and Handcycle Racing Accessories from name brands like Quickie and Top End. The sport of wheelchair racing itself details the design rules that must be observed. A racing wheelchair must have two back wheels and a third wheel in front with all moving parts of the chair being mechanical. The hand cycle is also constructed with three wheels and requires the user to use their hands to power the cycle. Whether you are a new customer or someone who has been with us for a while, we guarantee satisfaction. After over 25 years in the business helping people find Handcycling & Wheelchair Racing at the lowest prices, we continue to lead the industry! We carry a large selection of wheelchair cushions, wheelchair parts, and wheelchair accessories. We are capable of beating any competitor's advertised price, just call! Our customer service staff has over 50 years of experience, plus over 90 years of combined wheelchair use experience. We look forward to working with you! Best rear disk wheel on the market!